Stiles Machinery Weeke BXH-055 machining center, on display at Booth #7935, Hall B in the 2012 International Woodworking Show. Venjakob Spray Comfort wood finishing spray coating machine for flexible serial production. It has dual application capability for water and solvent based paint systems. GRAND RAPIDS, MI - Stiles Machinery's exhibit, at 18,000 square feet, is the 2012 International Woodworking Fair's largest. Stiles has a number of new introductions at IWF 2012: the Weeke Vanctech 510 MH CNC router and ABD dowel insertion machine; the Brandt Ambition 1110F edgebander; and Altendorf's new F-45 Fusion 3200 sliding table saw among the new offerings. (See chart below). But a walk through the space also provides a convincing marker of the wood industry's recovery. Stiles Machinery marketing VP Stephan Waltman suggests woodworking execs take the long view in making business plans, and avoid being unduly swayed by daily ups and downs of the market. "I always tell everyone that will listen there is no point in waiting. Technology is marching ahead with or without you," Waltman says. 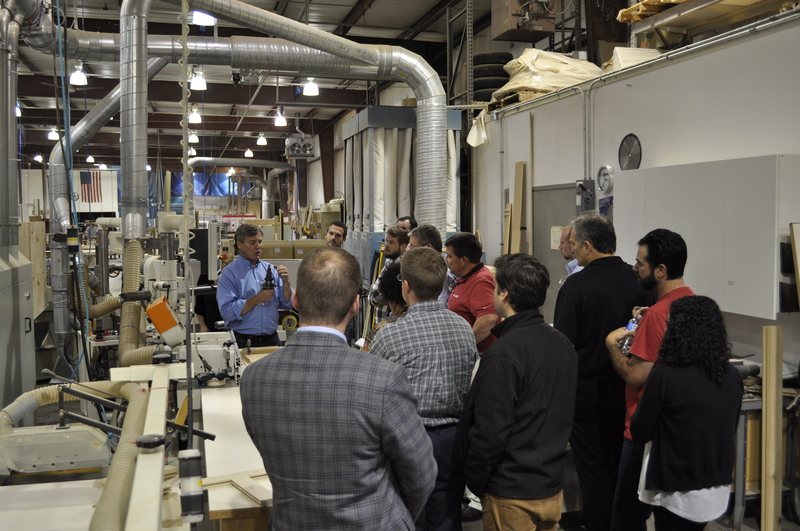 Stiles International Woodworking Fair theme is 'Simplify,' notes Steve Waltman, VP marketing, a very intentional strategy in helping wood industry execs transfer to the latest iteration of wood industry high technology. "We believe there is reluctance to invest and hesitancy to embrace technology for fear that this will make life more difficult within a plant," says Waltman. In some cases, managers are fearful that their staff will find the technology to hard to learn, Waltman says, and that the transition for people will be too complex. By taking the process in small steps, it is easier to understand and implement it, he says, even something as dramatic as IntelliStore, which automates materials handling and movement of panels in process. "In its individual components, it’s fairly simple," Waltman notes, "but it can handle complex operations in inventory management." The IntelliStore automated inventory system is a highlight of the Stiles Machinery booth. Incorporating a robotically controlled, intelligent vacuum lifting system, it completely automates loading, retrieval, stacking and feeds the right panel stock for each job, evaluating off cuts for reuse. Stiles Machinery's Ken McFadden provided a demo this morning of the system, which can place stacks of inventory panel adjacent to each other, eliminating aisles devoted to forklifts. It can run during an off-shift to replenish incoming boards or pre-sort for the next day’s production. "We're calling this area the manufacturing intelligence cell," said McFadden. Formally known as the TLF210 IntelliStore profiLine, the system is remarkably speedy in its material movement, though McFadden noted that in this show setting it runs at 70 percent of its speed. (The consideration is for safety, since not all of its foot plates can be anchored the Georgia World Congress Center floor.) As shown at IWF 2012 the intelliStore footprint measures 28x50 feet. "It is a system that knows every product, and where it's at," McFadden explained. Traversing stacks of panels while hanging from its gantry, the electronics-packed chaise fitted with vacuum lifters can handle the heaviest panels, lifting and carrying them from an incoming materials area then quickly shuttling them to their appointed pile whether in inventory or inline to another automated production device. IntelliStore is so fast it gets panels to their work area faster than any human could. 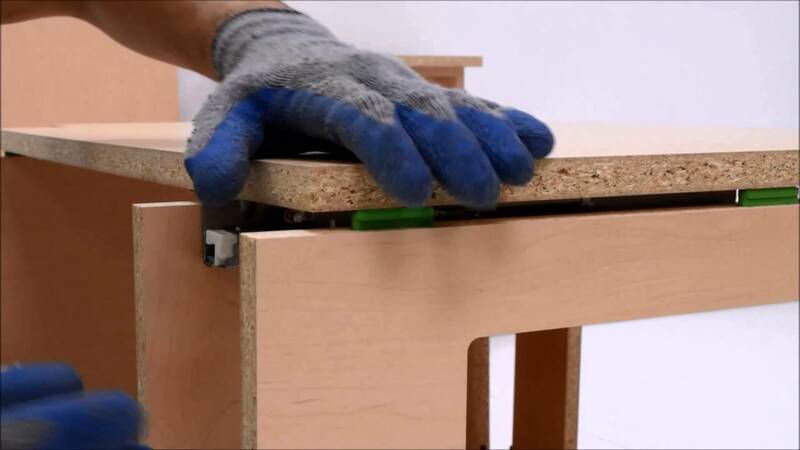 It's vacuum lift and move reduces material damage. It can even prioritize orders based on the picking location to increase production speed. It also verifies it has the right panel by measuring size with lasers and weighing it. Variances (say, two boards sticking together as it lifts) set off a call for the manager to take a look. IntelliStore can also track and retrieve off cuts, and can handle very large boards as well. It lifts up to a 550-lb. panel, and can handle material measuring as small as 47x32 inches. But inventory holds strong appeal for the companies using it so far. "Half of the users have no machines connected to it," says McFadden. "They are just using it for materials handlng." In assessing equipment and systems they will encounter at this show and after - especially in view of daily ups and downs in markets and forecasts - Waltman advises wood industry managers to keep an open mind. "This industry is going to reinvent itself; it is in the process of reinventing itself," he says. "Competitors are going to come from left field." So managers need to be on their toes. One of the most encouraging points for adopting new technologies and systems is the availability of capital. “Money has never been cheaper never more accessible," Waltman notes "Our lease people tell us that contrary to what you may read, their lenders are aggressive, and creative. Though its exhibition space is this fair's largest, it is not big enough to hold everything Stiles offers. "We have tried to put in equipment that any visitor could find interesting - Ironwood, Altendorf sliding table saws, traditional panel processing, cutting and finishing equipment," Waltman says. RTA-C: Ready for a new category of casework?